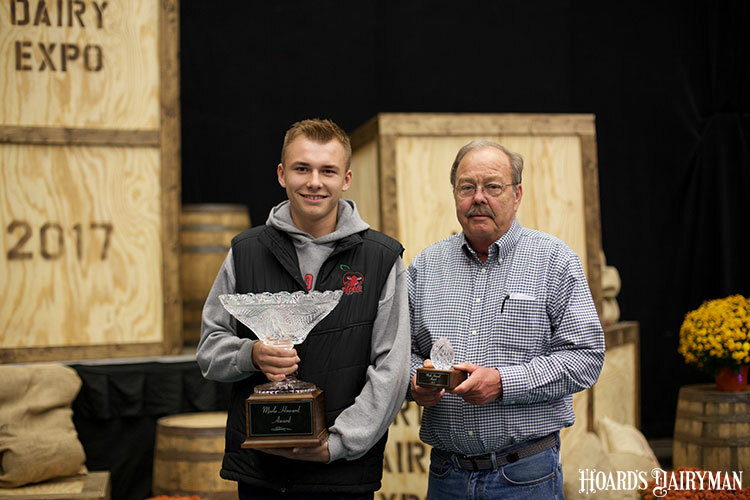 Dawson Nickels of Watertown, Wisconsin, was named the 14th Merle Howard Award winner at World Dairy Expo on Saturday, October 7. Active in a number of youth programs, Nickels was a member of the Wisconsin Junior Holstein Association’s first place junior dairy bowl team in 2015. Two years later, in 2017, his Wisconsin 4-H Dairy Bowl Team repeated that performance and was named state champions. This past year, his Dodge County team won the Wisconsin 4-H Dairy Cattle Judging Contest earning them a trip to World Dairy Expo where the team not only won the 96th National 4-H Dairy Cattle Judging Contest, but that team also had all four contestants in the top 12 individuals. During the contest held Monday at this year’s World Dairy Expo, this young man talked his way to second place in the oral reason competition. The author is the managing editor, and he brings 20 years of industry leadership to our readers overseeing all editorial content and production of the magazine. His degree from the University of Wisconsin-Madison combined dairy science and agricultural economics.